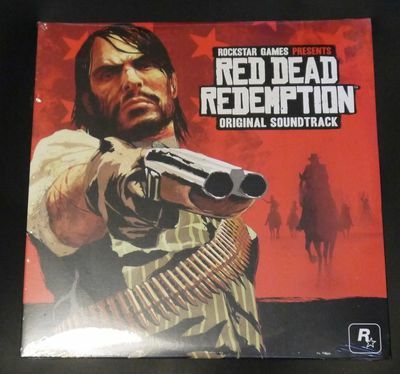 Red Dead Redemption Original Soundtrack 2 LP Red Vinyl Rockstar Brand New Sealed. Limited to 1000 copies. Brand new and sealed with just a few imperfections to outer packaging shown in picture 3 (small tear in shrink) picture 4 (crease top right front corner) picture 5 (ding top left back corner) Will ship very carefully, thanks! Sufjan Stevens ‎– Tonya Harding Vinyl 7" Single LE Blue New!! !